Why Missouri Slope Areawide United Way? 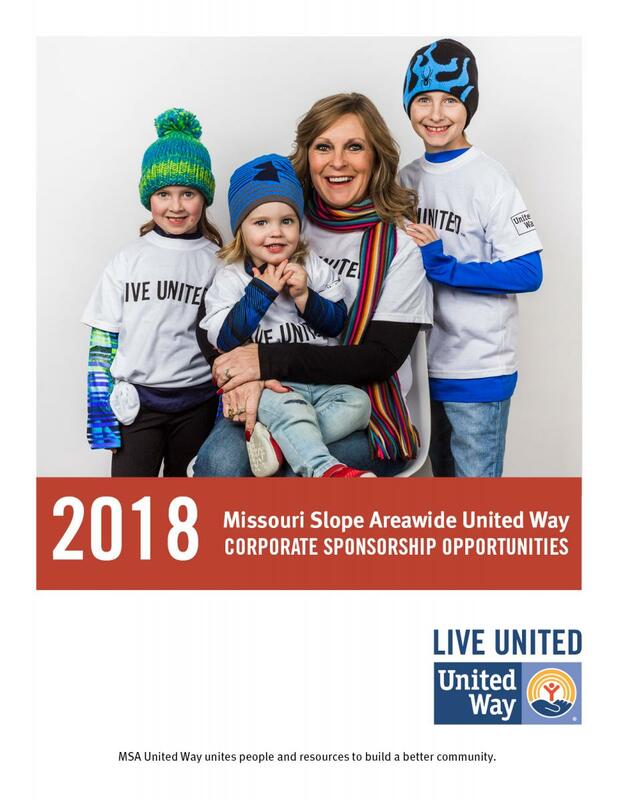 Missouri Slope Areawide United Way is a local, volunteer-driven, charitable organization mobilizing people and resources to meet our community’s needs. Our relationship with 33 agencies allows us to have our finger on the pulse of the issues and struggles in Bismarck-Mandan. We bring people and resources together to tackle issues with research-based, proven strategies that create real results. 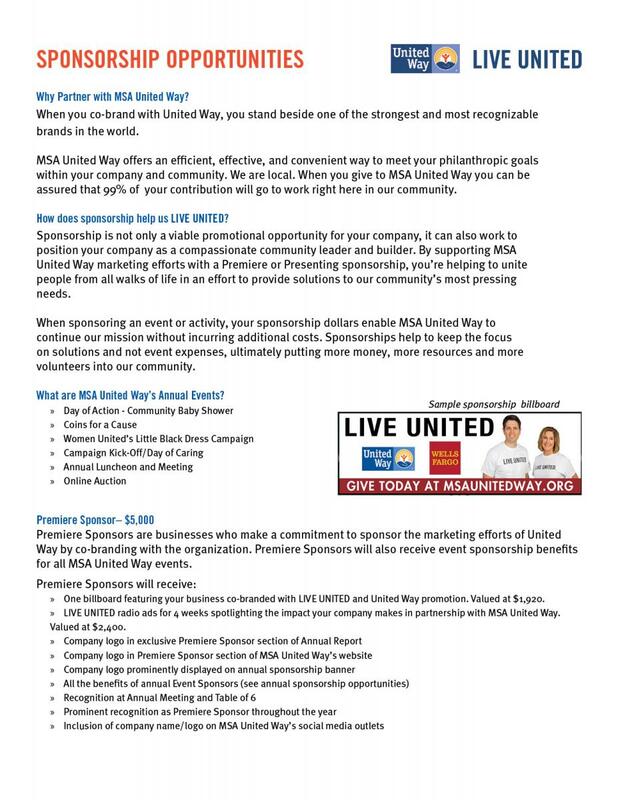 Why Partner with MSA United Way? United Way is ranked #1 on the Forbes list of the 100 Largest U.S. Charities, showing at 91% fundraising efficiency. This means 91% of private donations are used to help neighbors in need across the country. When you partner with MSA United Way, you join nearly 400 businesses and 6,000 individuals in our community who support the work and mission of United Way. United Way is an efficient, effective, and convenient way to meet your philanthropic goals within your company and also our community. 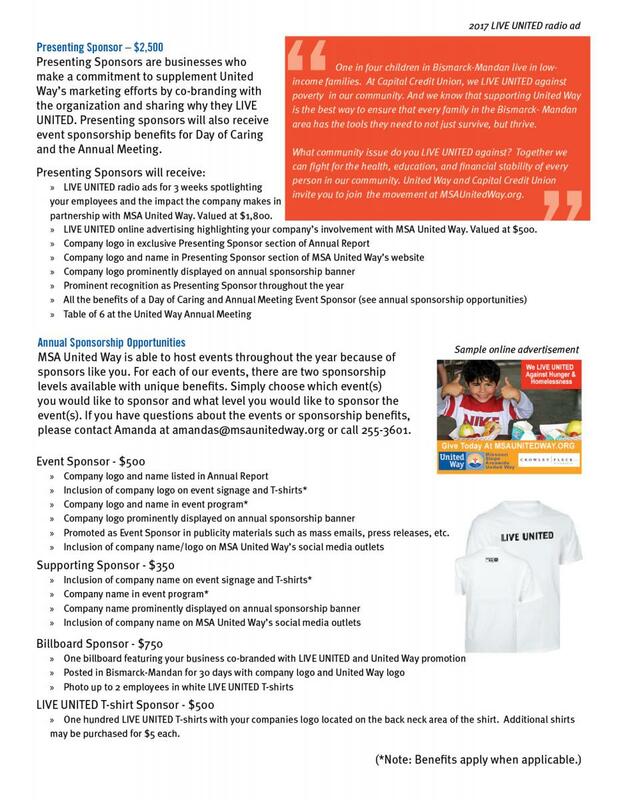 How does sponsorship help us LIVE UNITED? A sponsorship is not only a viable promotional opportunity for your company but it can also work to position your company as a compassionate community leader and builder. 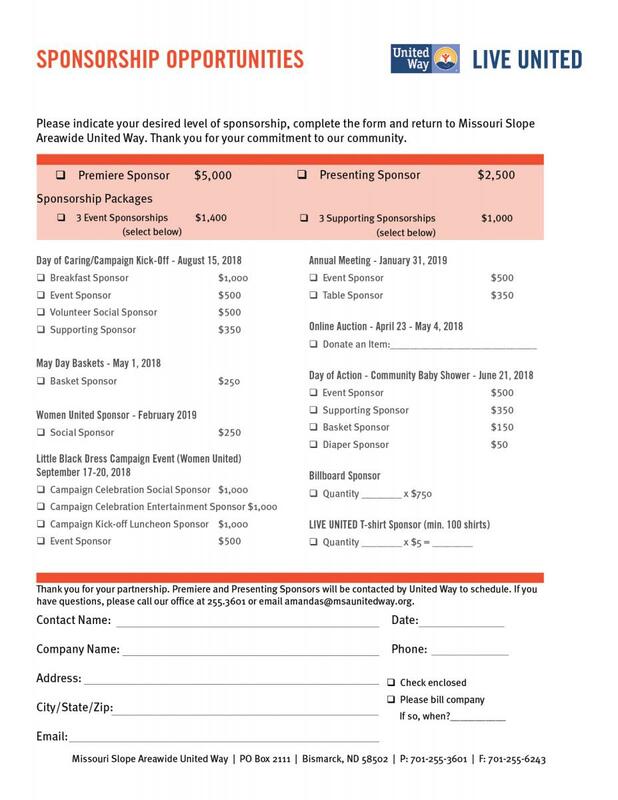 When sponsoring an event or activity, your sponsorship dollars enable MSA United Way to continue our mission without incurring additional costs. Sponsorships help to keep the focus on fundraising and not event expenses, ultimately putting more money, more resources, and more trained volunteers into our community.